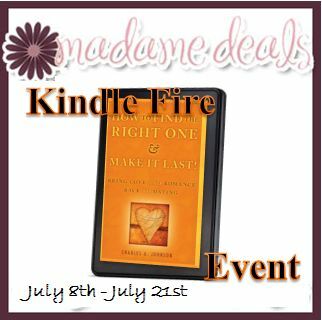 Welcome to the Kindle Fire Giveaway Event! With the Kindle Fire you can view over 20 million movies, TV shows, songs, magazines, and books! I have been an Amazon Prime member for months now. I absolutely LOVE it. The best part for Kindle Fire owners is that you can read for FREE with Amazon Prime! If you want to learn how to find a better balance in your life and how to bring love and romance back into your relationship, Charles Johnson has all the answers. 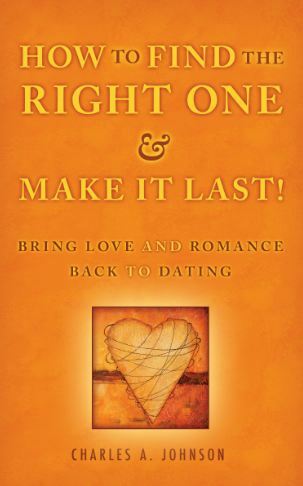 Visit our sponsor for this event at www.AskCharlesJohnson.com where relationship expert and author of the book “How to Find the Right One & Make it Last” shares his proven techniques to help couples reignite the fire in their relationships. There is nothing in the world that can compare with the joy and happiness that creating a family can bring. But having a baby is hard on any relationship. Moments that used to be filled with passionate kisses and flirty phone calls and exciting sexual escapades are suddenly replaced with breast pumps, dirty diapers and sleepless nights. For most of us, regardless of our marital status responsibilities of family and career take priority and we forget to take care of ourselves by carving out time to romance and be romanced. Visit www.AskCharlesJohnson.com to learn about the book and to submit the one burning question you’ve been too embarrassed to ask. Follow the entries in the Rafflecopter below to WIN the Kindle Fire ! Giveaway will run from 7/8 12:01 pm EST to 7/21 11:59 pm EST. All entries will be verified to make it fair. we are now emptynesters so in the last few years our life has been truly a rollercoaster. 2 years a go we were enjoying the relaxed life we had planned on after years of kids activities. then my husband lost his job the savings were gone and we were trying to start over at 50. we had to lean each other learn fun on a smaller budget. and reinvent life as we knew it once more but doing with my best friend made it easy. now there is only my husband and I and we look forward of movie night, date night and even game night …just to be together. By doing more things and spending more time together. Thanks for this contest! SPENDING TIME WITH MY WIFE ESPECIALLY WHEN WE BOTH HAVE ROUGH DAYS. spending more tome together ty. Always keeps young in our heart and always see the merits of each other.